Is everyday life stressful? Do you sometimes feel like you’d rather be somewhere else? What if we told you we could melt your cares away and send your spirits soaring! It’s called WDW Magazine, and it will transport you to your happy place before you can say bibbity bobbity boo. Yesterday was a hard day for me. I was so happy when I saw WDW Magazine in my mailbox. Thank you!!! I love it. It made my day so much better. 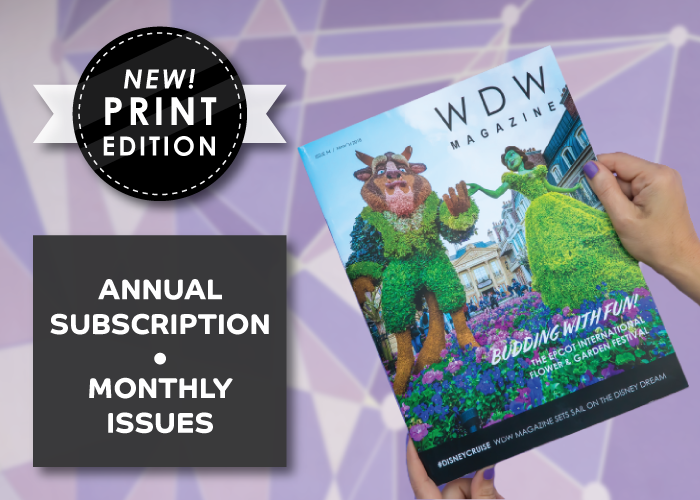 Ginger G.
INTRODUCING THE PRINT EDITION OF WDW MAGAZINE.! Five years ago, we had an idea. An idea to bring together a group of Walt Disney World super fans who could create something magical together. We assembled a team of talented photographers, insightful writers, skilled designers and enthusiastic Disney experts with a big idea in mind. Our goal was to combine our talents and passion for Walt Disney World into something other Disney fans could hold in their hands. Something that would transport them to the Most Magical Place On Earth, from anywhere in the world. The Digital Edition of WDW Magazine was born. 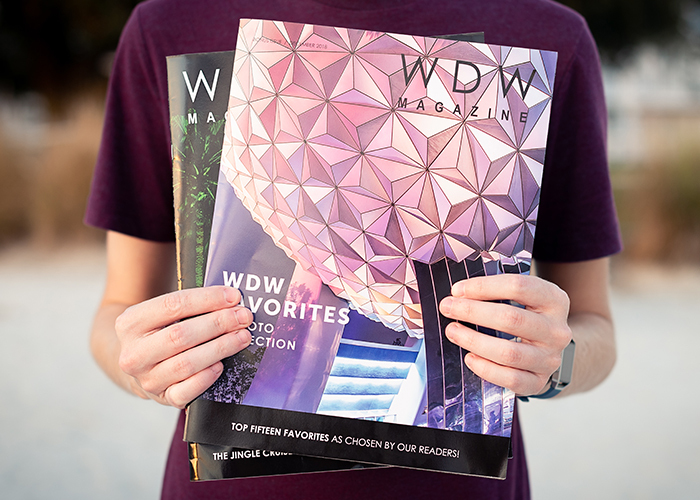 In June of 2018, we launched a Print Trial to test how folks would react to a Print Edition of WDW Magazine. Well they loved it! But don’t take our word for it, see what our readers have to say. 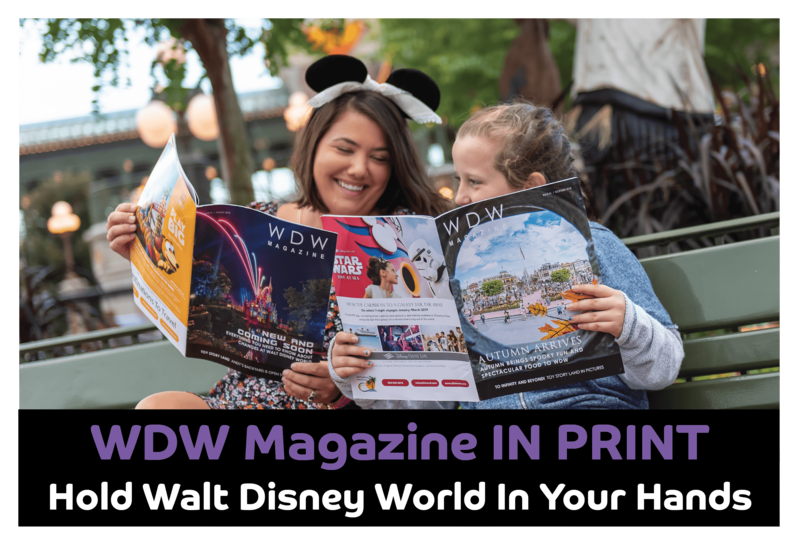 Escape to Walt Disney World with WDW Magazine! 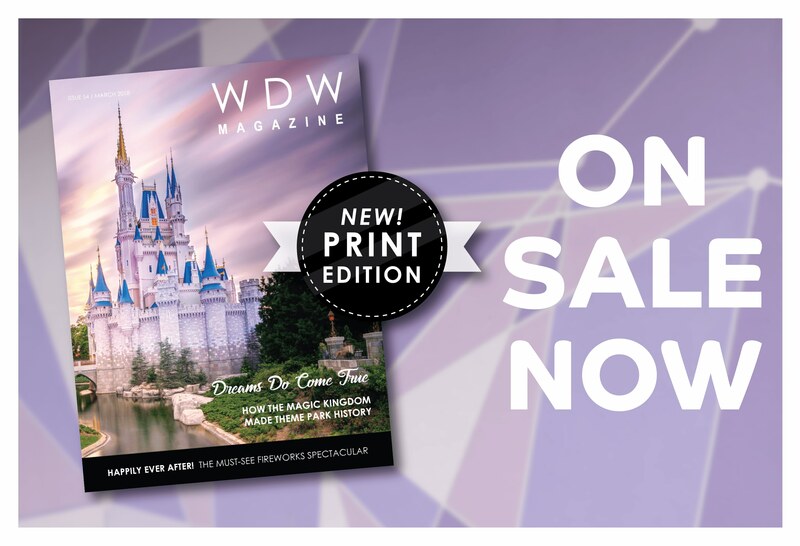 When you purchase an Annual Subscription to the WDW Magazine Print Edition, you’ll have Magic delivered right to you. EVERY SINGLE MONTH for 12 months. Your Annual Subscription renews automatically each year and you can cancel anytime. 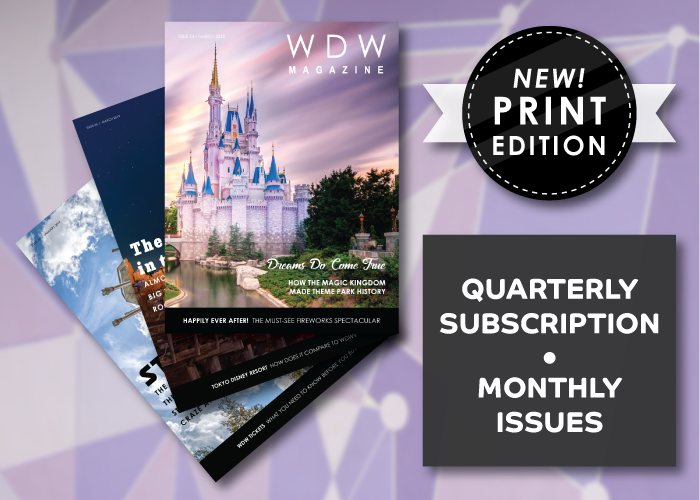 A Quarterly Subscription to WDW Magazine’s Print Edition includes a brand new Print issue of WDW Magazine mailed to your door each month for 3 months. Your Quarterly Subscription renews automatically every 3 months and you can cancel anytime. 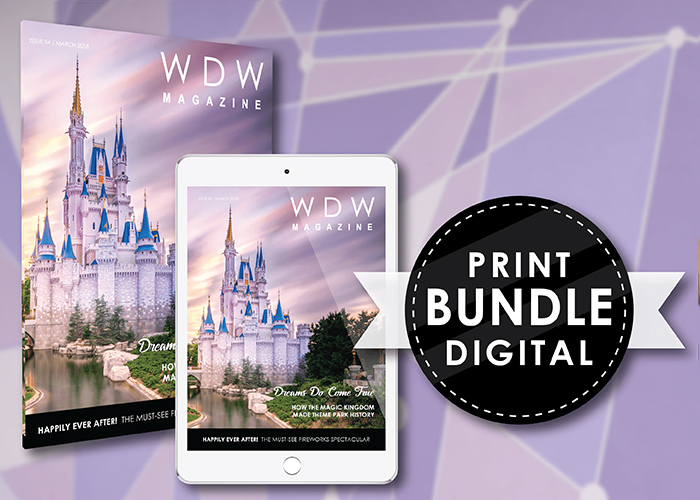 The Bundle gives you everything included with our Annual Print Edition PLUS a subscription to the Digital Edition so you can access even MORE magic. All Issues Available To View On Any Digital Device. The Bundle renews automatically each year and you can cancel anytime. WDW Magazine is a premium magazine filled with stunning content, less than 10% ads, and is shipped in protective polyurethane. Trust us, this is not your average magazine. 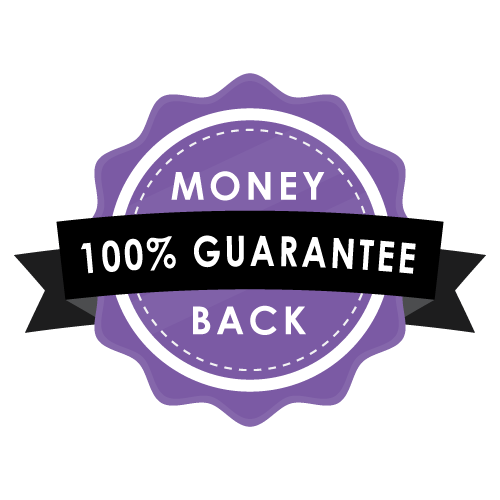 And if you’re still not convinced, see our money back guarantee below. Subscribe now and rest assured that some Pixie Dust will be on its way to you with the tap of a wand. 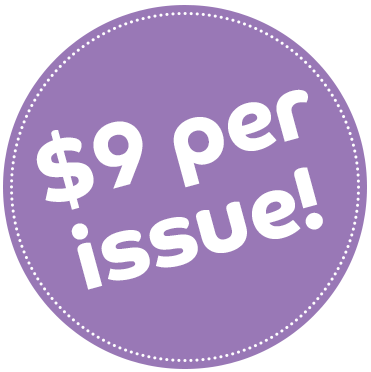 Your first issue will arrive in 4-8 weeks. All subsequent issues will arrive in 4-6 weeks. 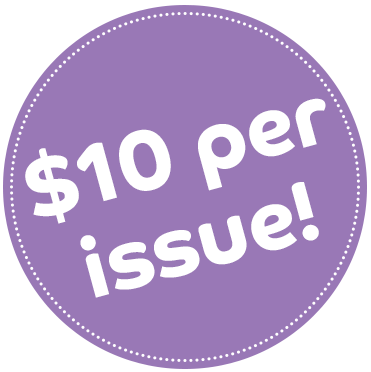 If you don’t love your first issue, let us know and we’ll refund your full purchase. We won’t ask you to return your first issue either! You can keep it. We want you to feel confident in your purchase of WDW Magazine. Have a question? Please see our FAQ page.